Last week I had the opportunity to shadow one of our volunteers. Leeta, a volunteer who visits nursing homes invited me to follow her around for a morning. I jumped at the chance because Leeta is one of those volunteers who is so quiet and reserved, that when she attended orientation, I sort of dismissed her in my head as not being a “sticker”. You know, those folks who will stick with it. I was wrong, thankfully and she’s been a sticker for eight years now. I arrived at the nursing home early and she was already there. Although I had been there many times, I wanted to see the facility through her eyes so she gave me a tour. I have to admit, I had never before noticed the impressive painting of the founder nor the cozy little blue living room off the first corridor. Our first stop was the room of a tiny woman who talked about her years making pasta at her husband’s restaurant. Her deft hands mimicked the motion as she spoke. Leeta smiled knowingly. She had heard the story many times before. We then spent time with a gentleman who set type for the New York Times newspaper. He is 103. He slyly told me he got the news before the world did. Now, that’s impressive. Then we came to a lady, Gwen, who was curled up in the hallway in her wheelchair. Under a collection of afghans, the world bustled around her as she sat among hurried staff and visitors on a mission. Though Gwen was deeply asleep, Leeta gently touched her shoulder. There was no response. Leeta whispered “Gwen” but nothing happened. Leeta paused for a second, watching intently then stood upright and I figured we were done. Nothing to see here. But instead, she walked into Gwen’s room and returned with a letter. “This was written by her granddaughter,” Leeta said as she unfolded the well used pages. Leeta bent close, her lips nearly caressing Gwen’s wispy hair. “Dear Grandma,” she began, “I love you very much. I was in school yesterday and my teacher told us about..” she continued. My eyes were fixated on Gwen’s face. At first she continued to sleep, but I saw a flicker, then a stir as she took the words in. Her eyes fluttered and then slowly opened at the words, “Mommy says hello too.” She turned, so slowly that time seemed to stand still and she saw Leeta’s face, just inches from her. She blinked and recognized and the most peaceful look came over her that for just an instant, I felt that all was well in the world. She drank in Leeta’s voice and kind eyes and the two spirits melded like batter for a decadent chocolate cake. Leeta stroked her hair and cheek and I felt tears spill onto my own. No one will ever get to know that powerful moment. No one, but I. And there, in that chaotic hallway, I felt the power of volunteering, the reason volunteers do what they do. Intimacy is borne from the establishment of bonds and our volunteers open their souls to that connection. They do it quietly, without thought of praise or recognition. But how we, volunteer managers, would love people to know about those intimate moments. How we’d love our fellow staff members to witness a volunteer’s humble gifts. How we yearn for senior management to be in that moment, to really grasp the nature of volunteering. How we wish prospective volunteers could feel that connection and understand how it would enrich their lives. How we want the public to see these tender moments so that they would stop caring about mindless celebrity sightings and start to embrace volunteerism. But therein lies the irony of intimacy. A hundred pair of curious, expectant eyes would shred that blanket of intimacy woven by our volunteers. And so it becomes our duty to recreate, to celebrate in song and tale the forging of spirit to spirit. We use words, images, videos, gestures and heartfelt testimony because we, as observers of volunteers, know their value. The intimacy of volunteering is a story that needs to be told and we continually struggle to find just the right words. Our jobs include showing the value of volunteers. Statistics, money saved, papers filed, number of calls made all show value. But what spreadsheet can show those intimate moments that mean everything to the recipient? I’ll continue to struggle to showcase the true value of volunteers to my organization because these are the things in this world that are so priceless. I just hope that all organizations, while combing through end of year reports, never lose sight of that which really matters. Meridian – I mentioned one of your recent blog posts, in the newest issue of my risk management publication, VIS Connections. You can view the Fall 2013 issue if you go to http://www.cimaworld.com/vis-connections/index. 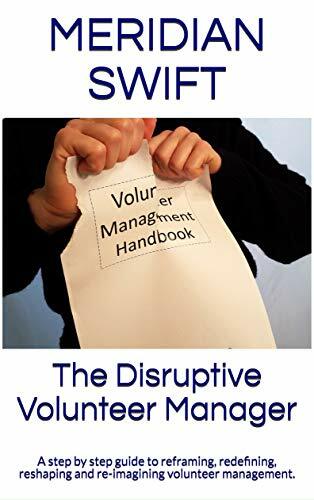 (See “Firing Volunteers In No Uncertain Terms.”) The publication goes to the 5,000 nonprofit organizations participating in our volunteer insurance program. Thank you William, appreciate it! I came in to my office today feeling under-appreciated and overwhelmed by the amount of work I need to get done in my part-time hours. Then, I took the few moments of “me” time to read this article. THANK YOU for empowering me to keep forging on to support the real power in our organization…our volunteers. Thank you Colette for posting and for the work you do. I swear, half the time I wonder why I keep going and then the other half knowing why I keep going. It is ironic that what matters most usually goes unseen. It is a heavy burden to champion the volunteers and the work. 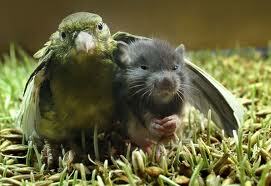 Luckily, we can support each other. This blog is a perfect example of why managers of volunteers need to refuse to limit themselves to talking about the value of their volunteers only in terms of a dollar value per hour given. 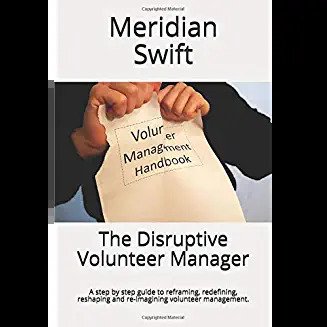 If a manager of volunteers has a story like this to share, he or she needs to share it on a blog, or in a report to the board – don’t wait to be asked for it, just DO IT. Thank you Jayne, you make a great point. We can learn from marketing experts who talk about telling a story to sell products. We have to continually “sell” the worth of our volunteers to staff, management, the public, donors and other volunteers. Stats are one way, but when coupled with stories they really have meaning. Your story of a beautiful truth is what gets managers of volunteers fronting up every day.